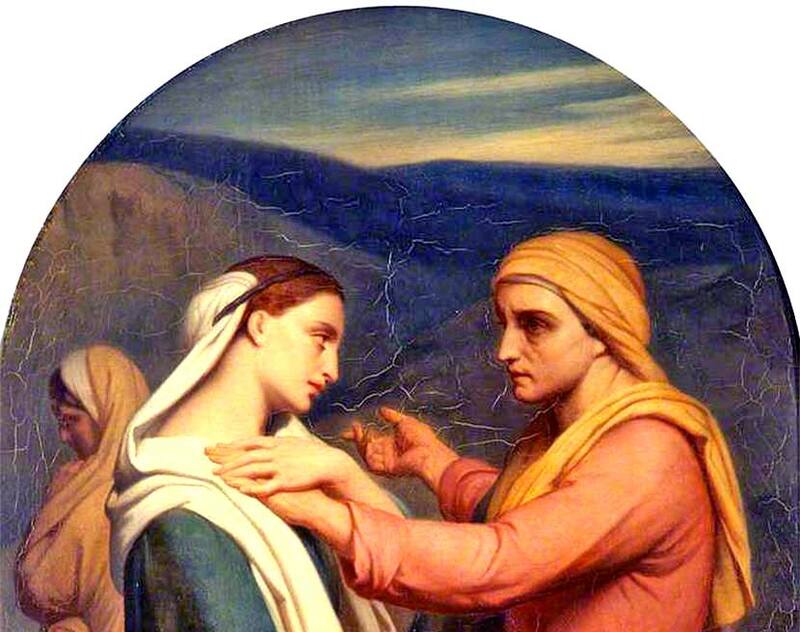 Ruth and Naomi (detail) by Ary Scheffer, ca. 1820. The ultimate example of honoring one’s mother: "Whither thou goest, I will go." 483 people in our community are currently praying with you. I play this once a year or so, and it always manages to touch my heart. Notice that “A Night to Remember” used the older English tune, which was actually played on the Titanic, rather than the better-known American tune (used in the remake in 1997). Dearest Jesus, work another miracle, a prodigy of grace. Make my soul a beautiful, living Tabernacle where You will ever dwell. Let me never leave You alone, but remind me to return hundreds of times in the day and have a word with You. Mighty Jesus, you are the radiant dawn bringing life into the world, and yet there are those who would hide in the shadows and under cover, in the caves of the flesh, telling each other that the darkness is good, and easy, and comfortable. I pray dear God that you will send your Holy Spirit to all of them, to show them that the fearful jaws of their insecurity become toothless when seen in the sunshine of your Word, and that they might see the true nature of evil, which hides with them in the dark, to keep them company and whisper lies in their ears. For those who have seen the light and shrunk from it, I pray that they may be restored, and that you will ease the terrible pain that drove them to hide from you, that they might be assured of forgiveness if they will only repent. Lighten the minds of those who have been warped by anger, by bitterness, by selfishness, or by the allure of glittering bangles of wealth or status or pride. Have mercy on me, dear Jesus, where I have strayed; and bring your light to all our brothers and sisters, that they may seek your mercy also, and find your perfect and eternal life. What verse of the Bible contains the famous quote, “[S]eek first the kingdom of God and his righteousness, and all these things will be added to you.”? Some time has passed since Ishmael was born, perhaps six years. At this point of Genesis, the calendar being used had a year about half as long as the Gregorian calendar's, so Abram is around 50.
od comes to Abram and repeats a part of the old covenant we have seen several times before. Abram will be the father of countless men and women, who will form nations, and among his offspring there will be kings. Also, they are to have the land of Canaan. We have heard this twice before, over the course of many years, but today there are subtle changes. God is finalizing the covenant. He starts by changing Abram's name. Abram, which means “noble father”, was sufficient while Ishmael was his only child. But the child to be born whom God is talking about, the progenitor of a blessed nations who will carry God's word, demands that he be called “Abraham”, which means “father of many”. There is another difference which we hardly notice, simply because we are reading the Bible. It is at this point that God gives Abraham a difficult task, to “walk before me and be blameless”. God explicitly requires Abraham's devotion as his part of the contract. This will give rise to many centuries of turmoil, for countless numbers of Abraham's offspring will turn their back on God and worship idols, or breach other laws that God will give to them; and they will feel God's wrath. He will not honor his covenant with them, when they boldly abandon their part of it. The old covenant between God and the Jews did not spring into existence fully-formed; Abraham's part took many years, and the entire covenant will not be complete for hundreds of years, at least until the days of Moses and Joshua. And of course the final covenant will not be complete for well over a thousand years, when Christ's spirit ascends. Jacob Wrestling with the Angel by Odilon Redon, ca. 1905. I always think of Jacob, when I try to read something in the Bible that I don’t want to hear.